I find it very difficult to go to Italy and not go to Rome. I’ve visited at least five times and I’d go again in a heart beat. If you love history like I do then there is hardly a more intriguing place. As I walk through sites like the Roman Forum and Palatine Hill I find it mind-blowing to know Emperors like Julius Caesar and Augustus walked there too. 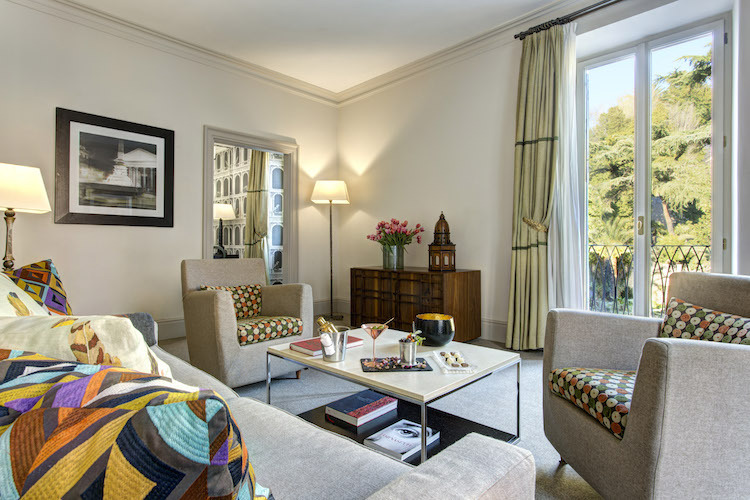 Rome boasts a variety of accommodation options from luxury hotels to quirky boutique properties. Picking the right place to stay is important because the city is a bit spread out and unlike Paris or London, the underground system is not as complete. Here are the three of the best hotels in Rome. The small, but chic lobby at Relais Orso. Courtesy Relais Orso. 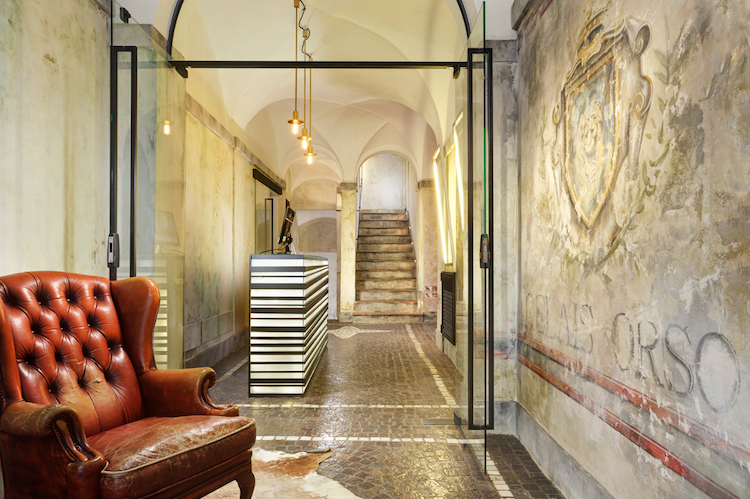 This unassuming boutique hotel near Piazza Navona boasts plenty of Old World charm. 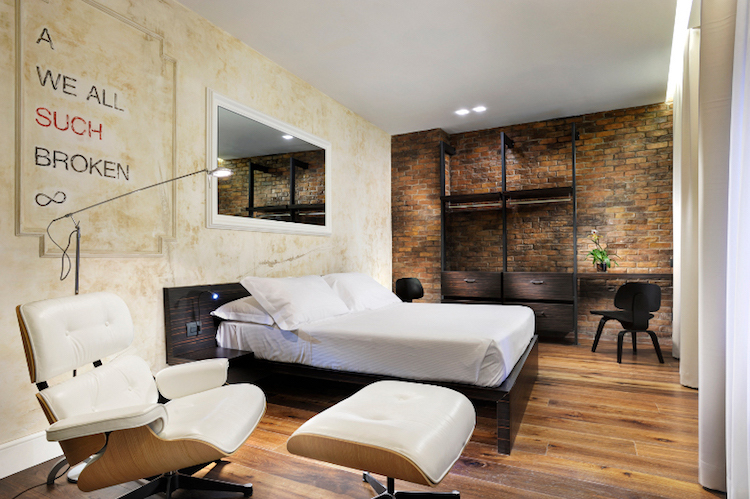 It’s located in Rome’s historical center and the street outside is paved with cobblestones, but guest rooms feature more modern design in the form of black lacquered headboards, reproduction Eames chairs, and exposed brick walls. Some suites feature balconies and outdoor jacuzzis while basic rooms have alley or street views and a central shower built into the main living space. Relais Orso offers breakfast in a small breakfast room off of the lobby and a rooftop terrace, but but it might be wise to ask ahead of time it will be open during your stay. It is closed for part of the year. From $109 a night. A Junior Suite at Relais Orso. Courtesy Relais Orso. Worst attribute: Alley-view rooms are a little dark. Family friendly? Very. Staff went out of their way to accommodate us when I stayed here with my mother, grandmother, sisters and nephew. Elizabeth Unique Hotel is located in a 17th century Palazzo. Credit Andrea Rinaldi. Located on a cobblestone street near the Spanish Steps, this renovated 17th century Palazzo offers an unbeatable central location. 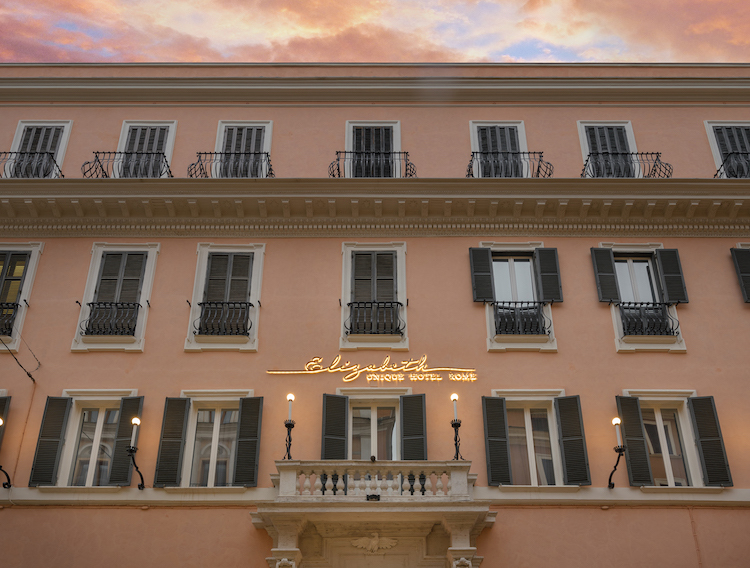 The 33-room Elizabeth Unique Hotel has been conceived of as a showcase for Rome’s contemporary art scene. Modern Italian artworks such as bold red portraits by Tommaso Ottieri decorate the walls in guest rooms and public spaces. Entry level rooms known as Initiale rooms feature dark blue walls and crips white linens. Elizabeth Unique Hotel also has a bar and a bistro that specializes in Italian gastronomy. From $305 a night. A Junior Suite at Elizabeth Unique Hotel. Credit Anna Galante. Best attribute: The considered design. Worst attribute: Breakfast is not included and a little pricey at about $30 a person. Family friendly? Medium. Initiale rooms can accommodate two adults and one child up to three years old. Due to all the beautiful art and contemporary furnishings in public spaces, you will want to keep a close eye on your children. 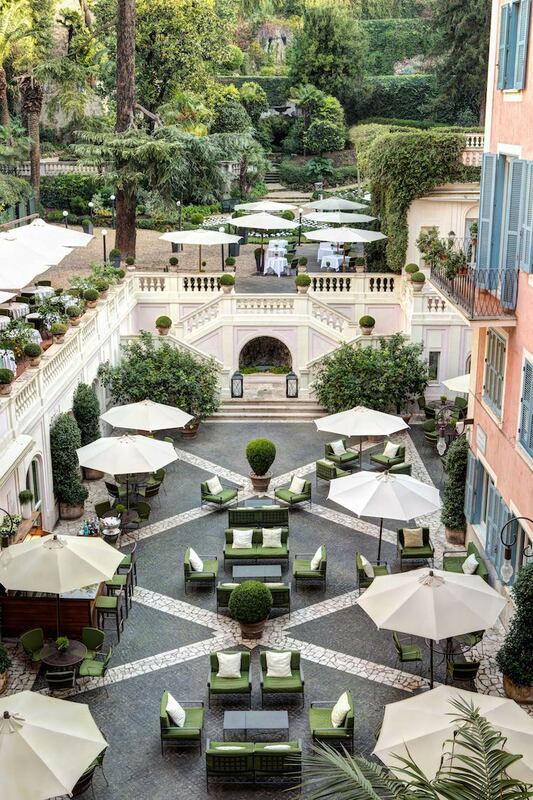 Hotel de Russie’s courtyard and terrace garden is an urban sanctuary. Courtesy Rocco Forte Hotels. The moment you step into Hotel de Russie, a Rocco Forte Hotel you feel a world away from the hustle and bustle of nearby Pizza del Popolo. The hotel has a tranquil inner courtyard and a terraced garden planted with palm and cyprus trees. While there is a smaller room for singles, Classic Rooms are the title of the entry level room category for a couple and they’re spacious and light-filled with luxurious marble bathrooms. 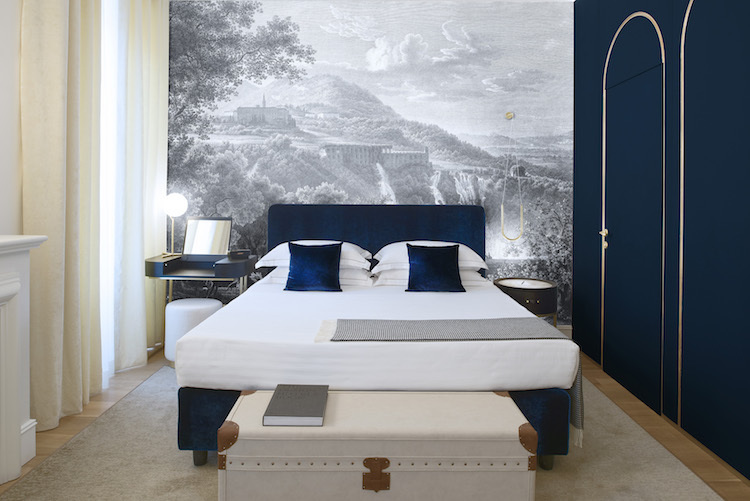 A five star hotel, the de Russie offers all the requisite amenities including a full spa with hydropool, a gym and a concierge serve that can provide curated experiences for hotel guests. The hotel’s Stravinskij Bar is worth a visit even if you’re not staying at the hotel as it makes some of the best cocktails in Rome like a well-balanced old fashioned. Many famous people have stayed at Hotel de Russie over the years including Jean Cocteau and Pablo Picasso who lived there for three months in 1917. A suite named after him is decorated in a vibrant yellow and purple color palette with pillows depicting his painting of Dora Maar. From around $500 a night. An Executive Suite at Hotel de Russie, a Rocco Forte Hotel. Courtesy Rocco Forte Hotels. Best attribute: The stunning manicured garden that cascades down the hillside the hotel backs up to. Worst attribute: The price is steep, but this is a true luxury experience. Family friendly: Very. Children of all ages are welcome a the de Russie. They offer a special turndown service for children aged 0-3 and special activities for older children and teens. Header image courtesy Rocco Forte Hotels. For what to see, do and eat in Rome check out my Guide to Rome here. Where’s your favorite place to stay in Rome? Let me know in the comments below.